We strongly believe in the importance of building closely bonded relationships between children and teachers, and we consider ourselves very fortunate that our small staff and low teacher/pupil ratios allow us to do this. We find that our children happily adapt to different adults and situations from an early age. A broad background within education allows our staff to apply their unique perspectives and expertise to support all children across the school. Just as our children have different strengths, so do our teachers. Teachers are assigned to various subjects according to their individual strengths, interests and specialisms. The children are taught most subjects by their homeroom teacher, but also receive specialist teaching for other subjects such as Music, P.E. and Spanish. Coordinators oversee curriculum planning and ensure that continuity, progression and standards are in accordance with our Curriculum. 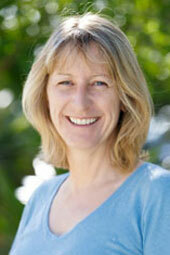 Alison holds a teaching Certificate in Primary Education from Derby University, England. Her major subjects were in Music, Psychology and Primary Education. She also did an Open University Degree course in Ethnic Minorities and Community Relations and has a TEFL qualification from Warwick University. 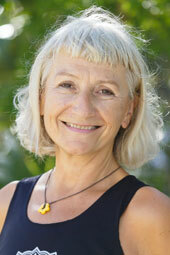 Alison has 37 years teaching experience in England, Greece and The Turks and Caicos Islands. This is Alison’s 27th year at Provo Primary. Sian holds a First Class Honours Degree in Primary Education (BEd. Hons.) from Reading University, England. Her major subjects were in Science and Primary Education. 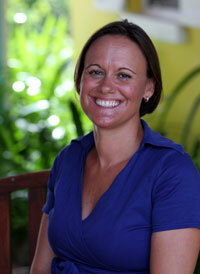 Sian has 27 years teaching experience in England and The Turks and Caicos Islands. This is Sian’s 20th year at Provo Primary. Toby holds a Bachelor of Arts (B.A. Hons.) in History from the University of Newcastle, UK. He also has a Masters of Letters (M.Litt.) in Modern American History from the University of Newcastle, which included a research placement at Emory University, Atlanta, GA. Toby then studied Primary Education and has a Post Graduate Certificate of Education (P.G.C.E.) from the University of East Anglia, UK. Toby has 13 years teaching experience, with 6 years teaching experience in the UK, including 1 year as a Primary School Headteacher. This is Toby’s 7th year (collectively) teaching at Provo Primary. Stefanie holds a Post-graduate Certificate of Education (P.G.C.E) from University College of Wales, Newport. She also holds a Higher National Diploma (H.N.D.) in Business Studies and a Post-Graduate Diploma in Human Resource Management, both from Kingston University, UK. This is Stefanie’s 14th year at Provo Primary. 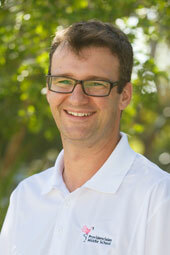 Jason holds a Bachelor of Education Degree (BEd. Hons.) He also holds a Post Graduate Diploma in Inclusion and Special Educational Needs and an Advanced Certificate in Teaching. All qualifications are from The Queen’s University of Belfast. 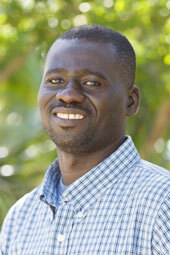 He is also an Associate Examiner for Cambridge International Examinations. Jason has 10 years teaching experience, with 5 years in Northern Ireland where he taught Year 6, preparing children for SATS and other secondary school entrance exams. 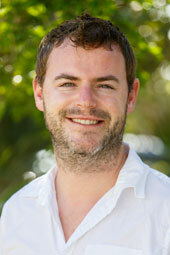 This is Jason’s 6th year teaching at Provo Primary. 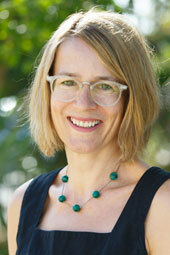 Cara holds a Triple Languages Masters of Arts (MA) in French-Italian-Spanish from University of St Andrews, UK. In her 3rd year she went abroad as a SOCRATES student and took her exams in Avignon, France and Verona, Italy. She also holds a Primary Post Graduate Certification of Education P.G.C.E with a specialism in French. Cara has 13 years teaching experience with 4 years teaching experience in the UK, where she was the Modern Foreign Languages (M.F.L.) and International Links Co-ordinator. This is Cara’s 9th year teaching at Provo Primary. Mrs. Indira holds a Bachelor of Education degree (B.Ed Hons), which she gained at the University of North London, specialising in Health and Recreation. She has 21 years teaching experience, working in schools in London. During her career she has had the opportunity to co-ordinate the teaching of RE and Literacy and also held responsibility for the school library. Her most recent teaching post was at Channing School for girls, a private school, where she taught for 12 years. This is Indira’s 2nd year at Provo Primary. Mani holds a Bachelor of Arts (B.A. Hons.) degree from the University of East London in Visual Art Theory and Education. She also holds a Post Graduate Certificate of Education (P.G.C.E.) in Primary Education, from the Metropolitan University in Manchester, U.K.
Mani taught English to speakers of other languages for 2 years while in Manchester using her T.E.S.O.L qualification. 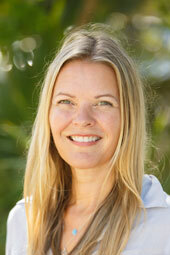 She also has a Yoga’s Up Certificate which qualifies her to teach Yoga to children from ages 6 to 12. 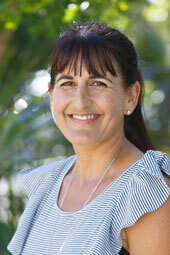 Mani has lived, travelled and worked in Europe, South East Asia, Australia, the Pacific and the U.K.
Mani has 23 years teaching experience with 12 years in primary education in the UK. This is Mani’s 11th year teaching at Provo Primary. Helen holds a Bachelor of Arts (B.A. Hons) in Early Childhood Studies and a Post Graduate Certificate of Education (P.G.C.E) in Primary Education with Early Years Specialism from University Campus Suffolk, UK. At her last school, Helen had the opportunity to co-ordinate PE, RE and EYFS across the school as well as have opportunities to lead Forest School sessions with EYFS and KS1. 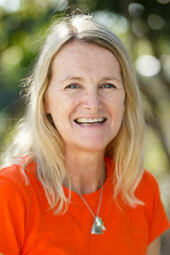 Helen has recently had intensive training supporting young children with Autism. This is Helen’s fourth year of teaching, with three years focused teaching Reception in the Early Years Foundation Stage. This is Helen 1st year teaching at Provo Primary. Claire holds a Bachelor of Arts (B.A. Hons.) in English Studies and a Post Graduate Certificate of Education (P.G.C.E.) in Primary Education with QTS from Sheffield Hallam University, UK. Claire has 10 years teaching experience, with 5 years teaching experience in the UK, where she was Special Needs Coordinator for 2 years. This is Claire’s 6th year teaching at Provo Primary. Arlene has a Certificate in Education and Training in Nursery Nursing and has 15 years experience in Nursery School, Primary School and Children and Family Centre’s (Social Work). 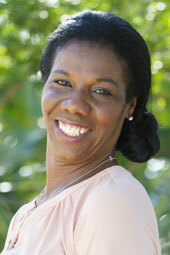 Arlene has worked as a Nursery Nurse and a Teaching Assistant in the UK and Bahrain. Arlene is also a UK Qualified Personal Trainer and Fitness Instructor, with 4 years running her own successful Fitness/Personal Training business, with a particular interest and focus on children’s fitness classes and instruction. This is Arlene’s 2nd year teaching at Provo Primary. Amanda holds a B.A. in Physical Education and Biology from Chester College of Higher Education and a Post Graduate Certificate of Education (P.G.C.E.) in Primary Education with Early Years Specialism (3-8 yr olds). Amanda has 29 years teaching experience in Primary Education both in the U.K. and in International Schools in Sechelles, Malaysia, Singapore and T.C.I. This is Amanda’s 6th year (collectively) teaching at Provo Primary. 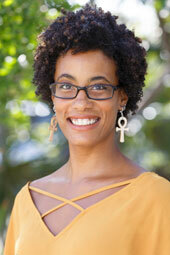 Shara holds a Minor in Dance from UNC-Greensboro, USA. She is currently attaining her Bachelor of Arts in Liberal Studies with a concentration in Humanities here too. She is also a Certified Baby Signing Time Instructor (ASL Based). 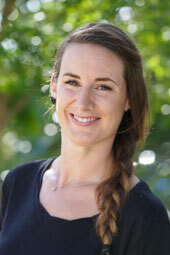 Shara is also a trained YMCA Professional (Swimming, Dance & Gymnastics) and she coaches at the local gymnastics club. 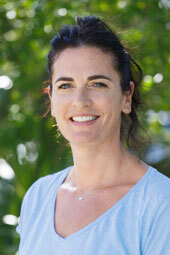 Shara has over twenty years in dance experience and twelve years in dance education. Over the years, she has brought this strength to our PE and Theatre Arts programmes and she has also developed a gross motor skill development programme (based on the UK PE Curriculum). This is Shara’s 14th year teaching at Provo Primary, with 7 years being in our Early Years Team as both lead and teaching assistant. Claire Marie holds an International Diploma In Montessori Pedagogy for Early Years Education from the Montessori Center International in London. She also holds certificates in: Yoga for Children from Montessori Center International; Understanding the Autistic Spectrum Disorder from Montessori Institute AMI and Child Protection, Creative Mark Making and Observation Assessment and Planning from the Camden Training and Media Service. 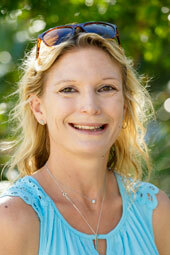 Claire Marie has 13 years teaching experience, which includes 5 years experience in London and 1 year in Australia. This is Claire Marie’s 8th year teaching at Provo Primary. 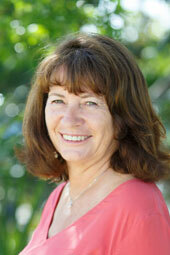 She has a wealth of experience working with young children and has a large family of her own. Her first language is French and is happy to support the learning of this language. 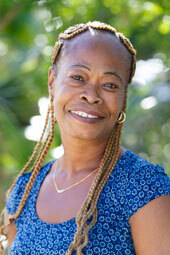 This is Jeannette’s 19th year at Providenciales Primary School working as part of the Early Years Team. Myrna holds an Early Childhood Certificate from The Bermuda College, Bermuda. 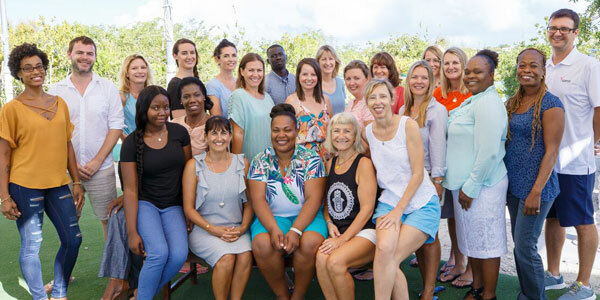 Myrna has 30 years teaching experience in The Turks and Caicos Islands and Bermuda, including 5 years working with students with mental and physical challenges. This is Myrna’s 20th year teaching (collectively) at Provo Primary. Kiara has a Child Development Certificate from Miami Dade College. This is Kiara’s 9th year as a teaching assistant at Provo Primary. 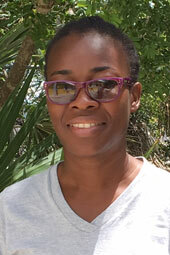 Laranda holds a Certificate in Early Childhood Education, from The Turks and Caicos Islands Community College (Through the University of The West Indies, Jamaica). 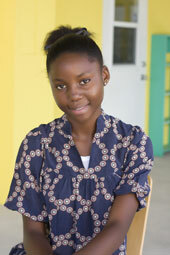 She is currently pursuing her Bachelors in Early Childhood Education. 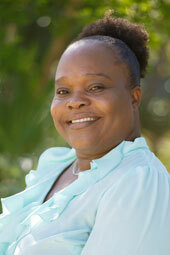 Laranda has 17 years of teaching experience. She has taught from infant to Year 4. 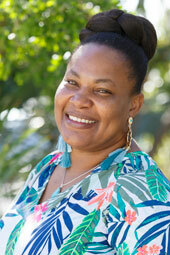 She has 4 years teaching experience in Middle Caicos and 13 on Providenciales, in both the Private and Government schools. This is Laranda’s 3rd year (collectively) teaching at Provo Primary. Jane holds a Bachelor of Arts (BA Hons) in Cultural Studies from University of East London which lead to producing worldwide TV commercials for 12 years. She worked in lifelong learning with adults and young people delivering training qualifications and shared her production skills with the young people to make films. Jane worked in an inner city School devising successful and individualised programmes of support co-ordinating reading programmes and supporting educational psychologists in identifying children. Jane is a qualified vinyasa flow teacher and created classes on stress relief for NHS mental health/school staff and ran playful & creative yoga clubs for children. This is Jane’s 1st year as a support teacher at Provo Primary. Claire holds a Bachelor of Science (BSc) degree in Deaf Studies from the University of Bristol, UK. She also holds a Primary Post Graduate Certificate of Education from the University of Hertfordshire, UK. Whilst studying for her P.G.C.E., Claire spent a year working part-time as a communication support worker for primary aged Deaf children with special needs. 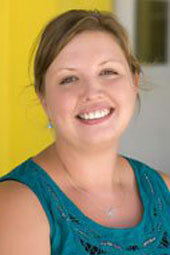 Claire has 11 years teaching experience, with 8 years teaching at Provo Primary. Rochelle holds a Bachelor of Arts (B.A. Hons) degree in Primary Education with an emphasis in Literacy Education, which she gained from The Northern Caribbean University in Jamaica. She also holds a Diploma in Visual and Performing Arts. Rochelle has been a teacher since 2008 and throughout that time has catered to students at the early childhood, primary and high school levels. Rochelle is very passionate about personal and professional development and has attended several leadership and team-building seminars. This is Mrs. Rochelle’s first year teaching at Provo Primary and Middle School. Helen holds a BA (Hons) in German with Spanish from Newcastle University, and a PGCE from the University of Sheffield. 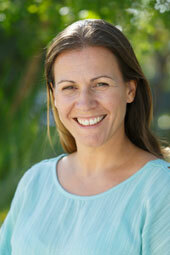 She has over 10 years experience, mainly in teaching Spanish, German and French at Primary and Secondary level. 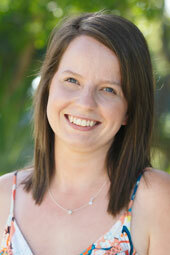 Helen has also worked as a class teacher in Year 5 and Early Years, and in pastoral roles in Key Stage 3. This is Helen’s 6th year (collectively) teaching at Provo Primary. Niki holds a BA (HONS) in Dance from London Contemporary Dance School, is a qualified Professional Studio Instructor with YMCAFit (UK), holds a Professional Associate Diploma in Acting and Musical Theatre from Arts Educational School, London and is a Master Scuba Trainer with PADI. Niki has over 15 years experience teaching performing arts, fitness and SCUBA to both children and adults in England, The Philippines, Tanzania and The Turks & Caicos Islands. Niki runs an extensive After School Performing Arts Programme for children, teenagers and adults on campus. This is her 4th year at Provo Primary and Middle School. Lilia holds a Licentiate and Master in Arts degrees with specialization in Piano Performance and Pedagogy from the State Academy of Music, Theatre and Fine Arts from Chisinau (Moldova). Lilia has been teaching piano and acting as a concertmaster, as well as performing, since 2001 in the Middle East (Egypt, Algeria, UAE), Moldova, UK and Cayman Islands. Lilia’s working experience includes preparing students of all levels for ABRSM and Trinity examinations, who achieved excellent results in both theory and practical piano exams. She is also a certified translator (English – Russian). It is Lilia’s first year at Provo Primary and Middle School. Our wonderful, hard working cleaning and maintenance staff keep our school clean and tidy everyday.